This wedding cake was designed for a destination wedding at the stunning venue of Castle Leslie. 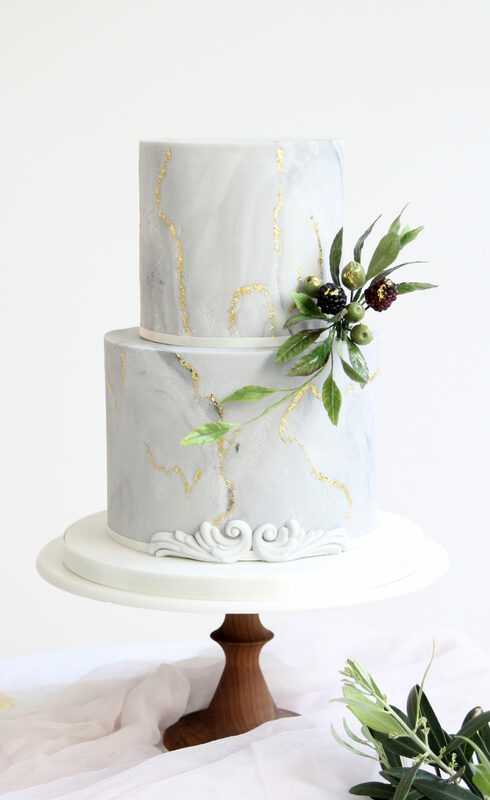 A distressed marble fondant finish coupled with scroll detail was a nod to the ancient architecture. 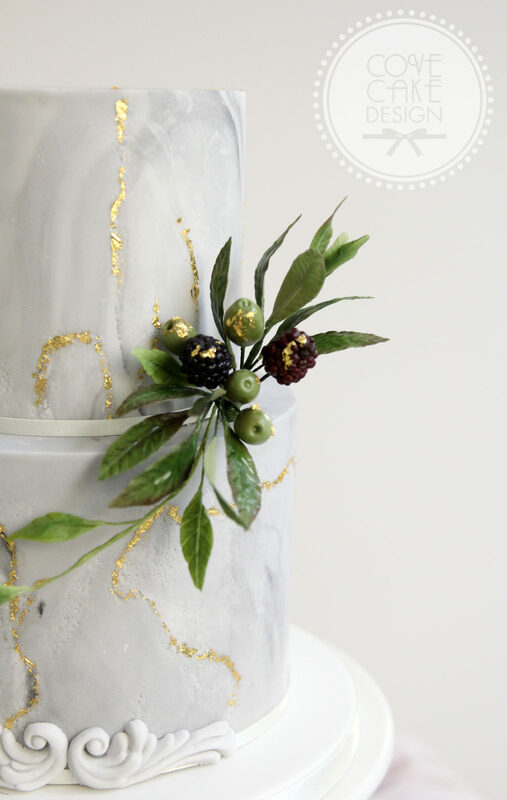 A simple decoration of sugar foliage, olives and blackberries gave a relaxed feel with just a touch of gold leaf for some decadence! Flavours were Guinness Chocolate with Roasted White Chocolate and Champagne Elderflowers Strawberry. For our current wedding cake flavours see our menu.